The lake in question is Loch Doine, a picturesque location in southern Scotland, north-west of Glasgow. Pearson and his team put a lot of time into finding the perfect location. “My main thought was to keep it other-worldly, and to make it feel like this character was truly alone. I have to thank my producer Daisy Costello here, when we went to recce for locations, the location we used was the top of her list – she knows Scotland well. When we arrived, quite literally in the middle of nowhere, looking out across the lake and no sign of human life across the vista, I just instantly knew it was right.” Intentionally timing the shoot to occur right on the cusp of twilight sees this quaint location take on a particularly grissly, isolated and somber aspect. The protagonist is buffeted by relentless highland winds, compounding his struggle as even the weather itself appears to have turned on him. This expert matching of concept and execution results in a stirring video replete with grief, sentiment and ultimately catharsis. Director + Editor: Harvey Pearson. Production Company: My Accomplice. Executive Producer: Imogen Harrison. Producer: Daisy Costello. Production Assistant: Chloe Shirley. Starring: Connor Newall. DOP: Hunter Daly. 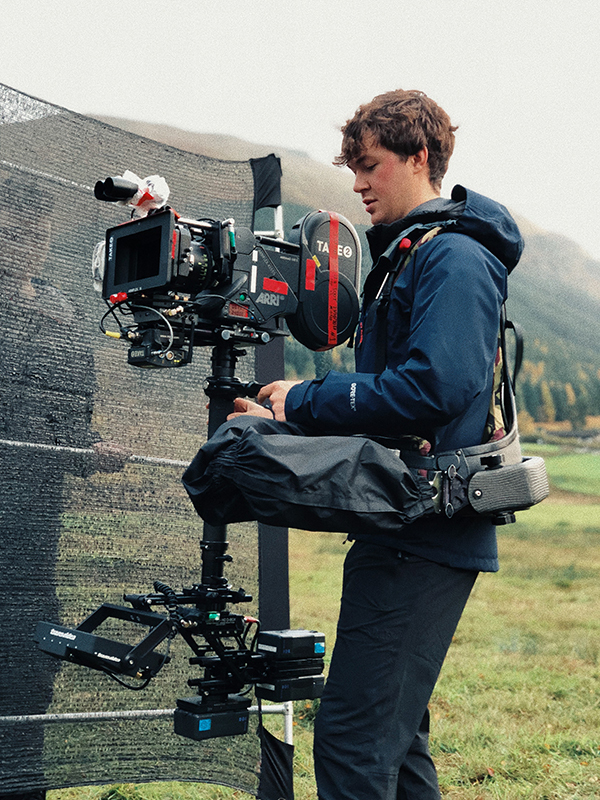 Steadicam Operator: Jake Whitehouse. 1st Assistant Camera: Sefa Ucbas. Loader: Connor Wilson. Lab: Kodak London. Colourist: Ruth Wardell @ Electric Theatre Collective. Colour Producer: Oliver Whitworth @ Electric Theatre Collective. Make Up & Hair: Alex Kellet. SFX: Perry Costello. Water Safety / Rescue: Eddie McGowan. Nurse: Gerry Edwardson. Catering: Cheryl Strong. Producer Runner / Driver: Fraser Thorne. Label: Dirty Hit.